This statistic depicts the leading countries with the highest government expenditure on space programs in 2014 and 2016. 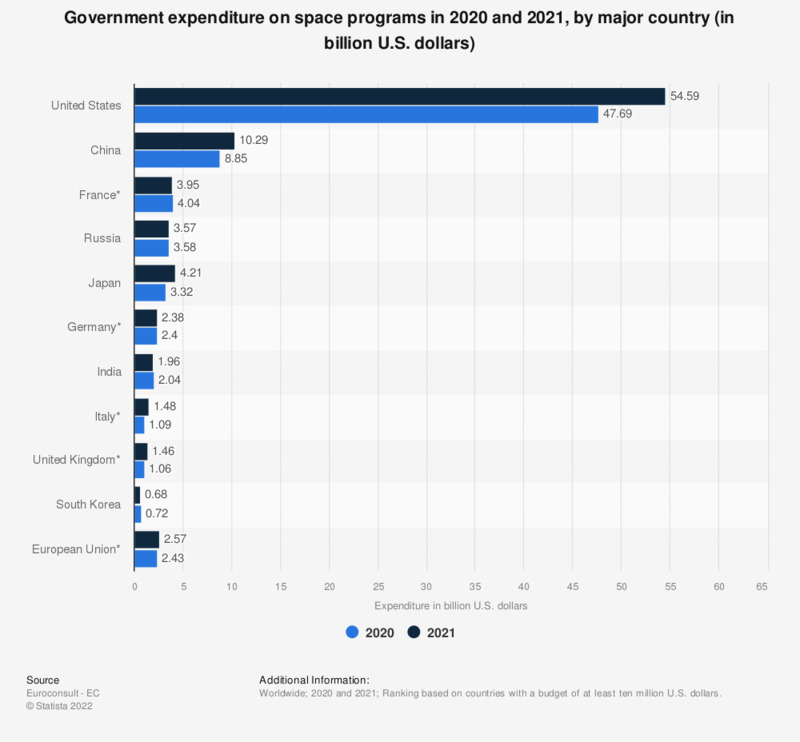 In 2016, the United States was by far the leading spender, with government space program spending amounting to just under 36 billion U.S. dollars. * Ranking based on countries with a budget of at least ten million U.S. dollars. ** The United States is undersized in 2016 (88%). Figures for 2014 were taken from a previous edition.